This has been the biggest debate since reading books on an electronic device was invented. 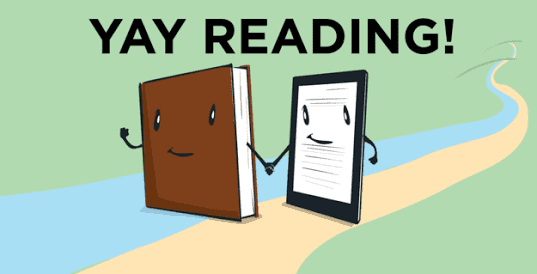 Do you prefer to read on an ebook or as a printed book? Now I can see why people would want to compare the two, and why some condone reading on the other format, but when you really think about it, both have pros and cons. Printed books have no battery life. That's right, whenever you want you can read books without having to worry about charging it. EBooks are money savers. It's much cheaper to buy books in an ebook form than printed. And here is the deal breaker; you can get free book! Printed books has a smell. When you open a new or old book, put your face right in there and give one good sniff. It's a book nerds heaven scent. You can't do that with ebooks. Bookshelves. A great place to show off your books when people come around. It's not the same is ebooks. Reading at night. Admit it, you have all done it, or tried to do it. The best way to read a book at night is ebook format. 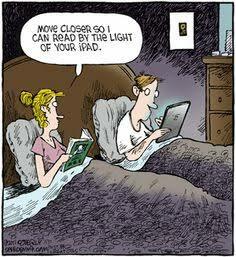 Why you ask, well it has its own inbuilt light. You can adjust the brightness of that light, which means in the end you can read as late as you want. Sleep is overrated. But in the end does it matter how you prefer to read, the more important thing is that you are reading. I actually read both formats, and that's because of the reasons I gave earlier. We should never judge people in how they are reading, we should encourage. 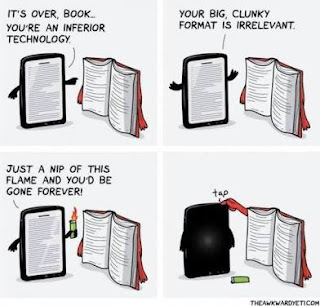 I'm sure the next big debate would be printed books vs audio books. 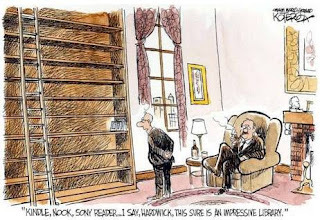 But I'm sure I'll say the same thing I keep saying all the time, it doesn't matter how you read, as long as you READ!